More than 500 people have died from the latest ebola outbreak in the Democratic Republic of the Congo (DRC), but a vaccination programme has prevented thousands more deaths, the country’s health minister said. But Health Minister, Oly Ilunga Kalenga, said that, for the first time, a vaccination programme had protected 76,425 people and prevented “thousands” of deaths. The latest outbreak is the tenth in the DRC since ebola was first detected there in 1976. 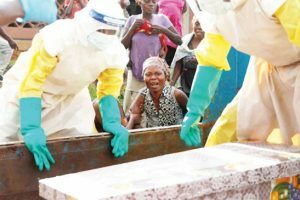 The deadly outbreak is the second largest in history, behind the devastating West Africa outbreak that killed thousands a few years ago, according to the World Health Organisation.